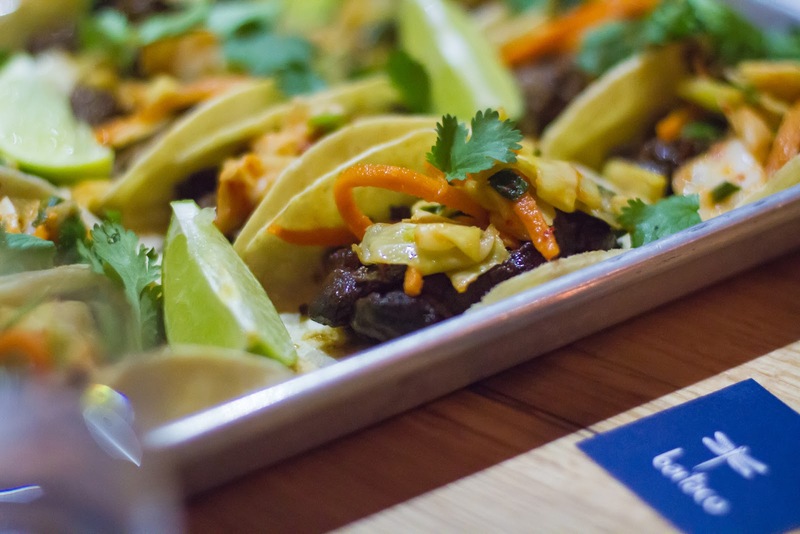 Despite it being "Taco Tuesday" this post is only partially about tacos. 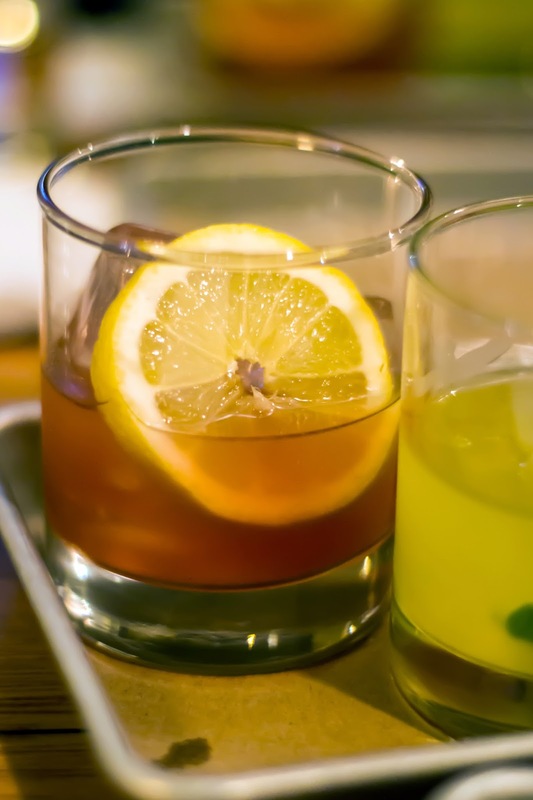 It's really about the drinks that go with your tacos. 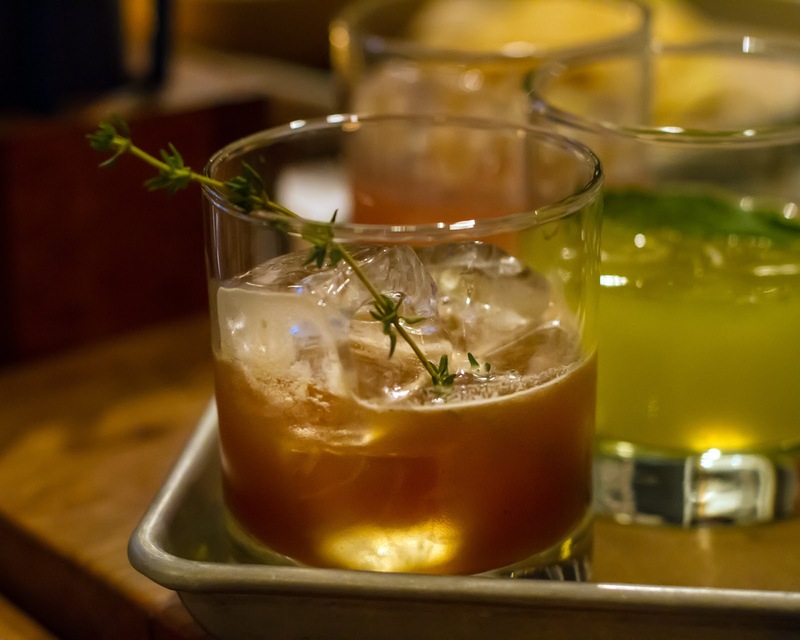 The team at Bartaco invited us to their Westport location to explore the "bar" in the Bartaco experience. Walking us through the latest Bartaco cocktail creations was Gretchen Thomas, the wines and spirits director of the Barteca Group, the owners of Bartaco and Barcelona Wine Bar. Gretchen is a Culinary Institue of America graduate, has studied wine in Europe, and received various certifications from the Wine + Spirit Education Trust and the Court of Master Sommeliers. She transformed Barcelona's wine selection into the largest Spanish wine program in the United States. And, it was through wine, that Gretchen began expanding her knowledge into all things cocktail. The Bartaco cocktail menu was behind the times and Gretchen was tasked with giving it an overhaul. She dove in, learning and sampling everything she could, laughing that "she filled her house with booze." Gretchen said her focus is on artisanal, quality, smaller batch alcohol makers. Quality makes the difference. So instead of 200 tequila choices, she paired it down to 50. 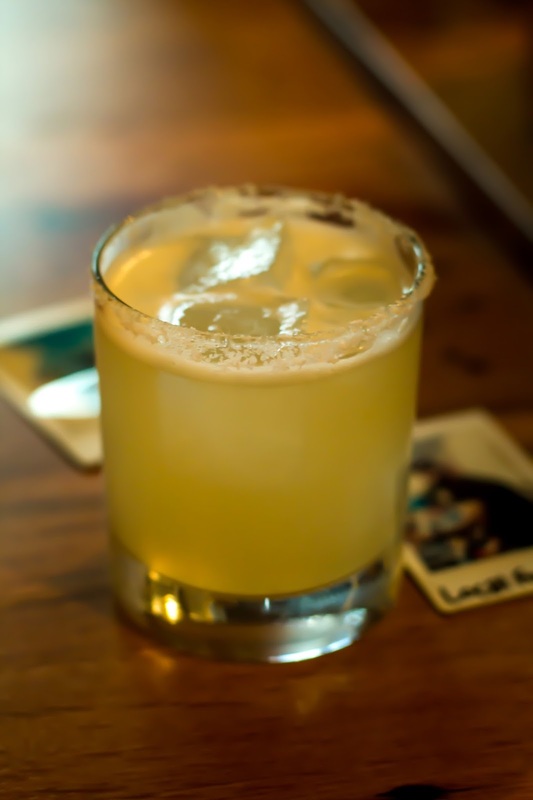 Plus, when it comes to tequila you'll only find 100% agave at Bartaco. You also won't find pre-squeezed lime juice. It's all squeezed to order, ensuring the oil from the lime skin gets into the drink, making for better flavor. Ever heard of cold draft ice? Me neither. Gretchen said their cold draft ice machine is the most expensive piece of equipment in the restaurant. It creates solid cubes which last longer so your cocktail doesn't get watered down as quickly. Now let's drink! Responsibly, of course. This is currently Gretchen's favorite drink. And, yes, it was inspired by the Brigitte Nielson movie from the 80s. 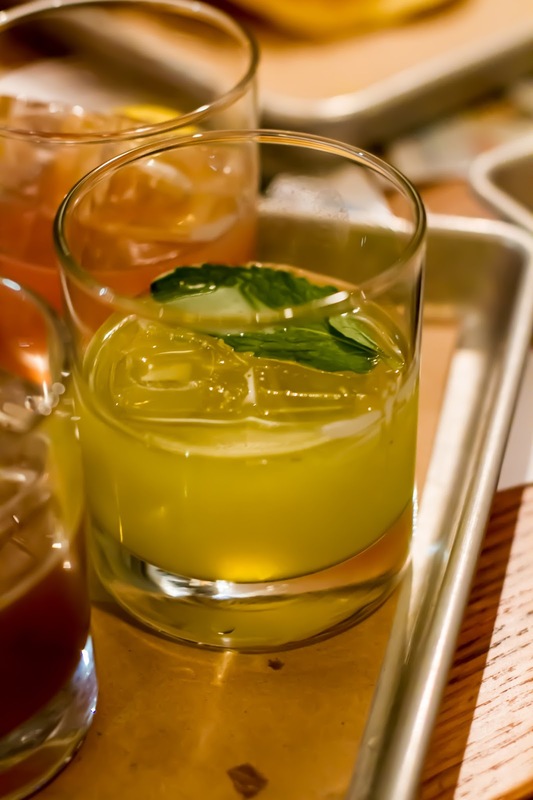 It's made with ginger, jalapeno, lemon juice, Peychaud's bitters, byrhg quinquina (a French wine-based aperitif), and Olmeca Altos reposado tequila. The result is a wonderfully reddish color drink with a nice citrus flavor and a spicy kick at the end. This is Bartaco's most popular cocktail. It's a combination of Martin Millers gin, lime juice, mango nectar, cucumber, and mint. Gretchen described it as a salad in a glass. I completely agree. It was fresh and refreshing, but maybe a bit too heavy on the cucumber for my taste. However, I easily could see myself sipping this on a hot summer day while sitting outside by the water at Bartaco Westport. This cocktail is an amazing mix of muddled lemon and orange, thyme, Carpano Antica vermouth, angostura bitters, and Four Roses Bourbon. I wouldn't have expected to see a bourbon-based cocktail on the menu at a latin-inspired restaurant. What a great surprise. Gretchen is a self-described "bourbon girl" so I should have seen it coming. This was my favorite sipper of the evening! Incredibly smooth, with a wonderful smoky sweetness highlighted by the fresh citrus. 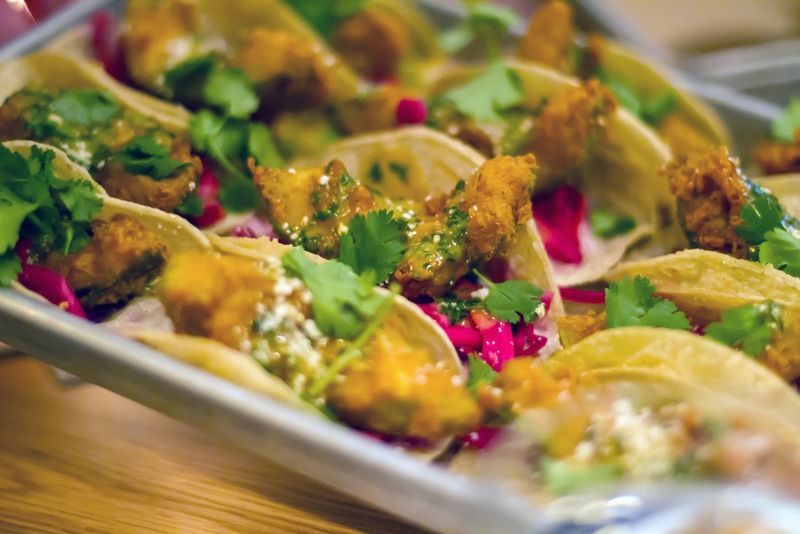 Since it is Taco Tuesday after all, this post would be incomplete if I didn't tell you about the food. But, first, a secret ... a #bartacosecret to be exact. You need to follow Bartaco on social media because once a month they let you in on a secret off-the-menu taco. 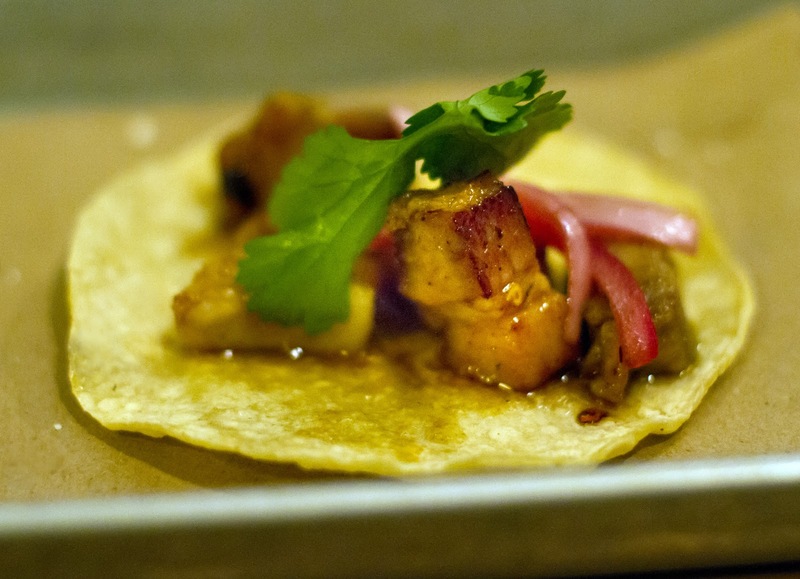 One month it featured wild boar, the next it was a shrimp bahn mi inspired taco, and during our visit fried avocado was the star ingredient. Be one with this hashtag and be in on the secret. 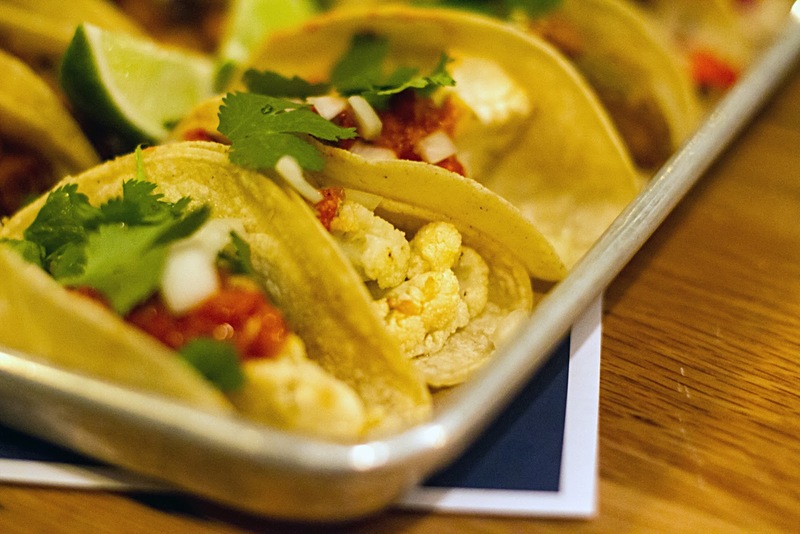 We sampled at least six different taco combos, if not more. It's so hard to pick a favorite. I will say that it comes as no surprise that Renato and I loved the pork belly with spicy Arbol chili sauce. It was fatty, sticky, sweet and spicy. We also really enjoyed the sesame rib eye with jicama kimchi. I loved the match of the nutty sesame flavor with the crunchy, slightly acidic vegetables. 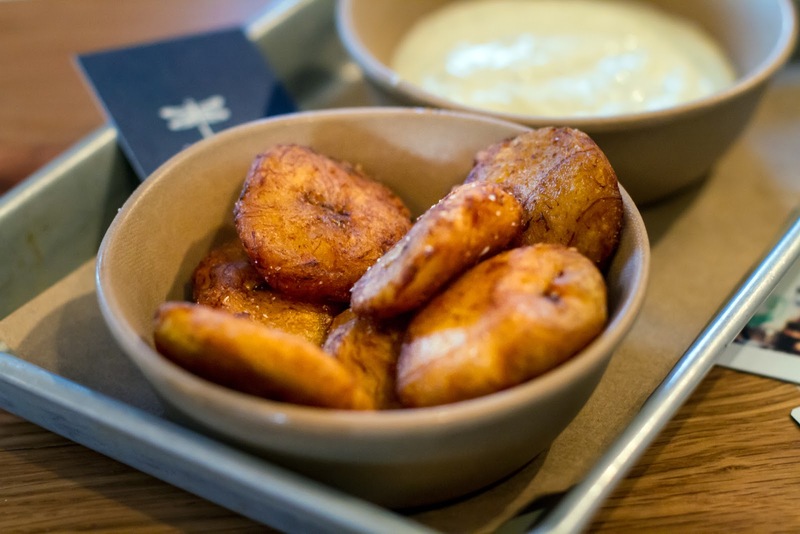 And, the plantains deserve a special shout out. Sprinkled with a touch of salt and cayenne pepper, they were perfectly cooked and addictive. They were slightly firm but still melt in your mouth. They are served with tartar sauce. As a general rule, I don't really like tartar sauce so I just ate them plain. Believe me, they didn't need it. Disclaimer: We were not compensated for this post. The food and drinks were free of charge. The opinions contained herein are my own and reflect my experience. Your own may differ. Definitely the perfect weather for a bourbon cocktail and tacos by the water!